If you are experiencing poor water pressure or flow either directly or indirectly via your combi boiler or mains pressure fe heating system, then HomeBoost is the perfect low cost, compact, water fitting regulations compliant, solution to help "Boost" your pressure. 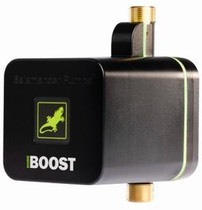 The Salamander pump boosts the incoming mains pressure to combi boilers, improving the performance of your mixer shower and bath fill rate by increasing the flow rate of the water input. 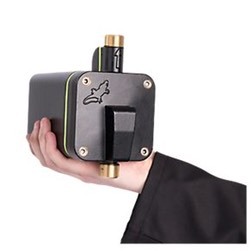 Suitable for mains pressure systems, plumbs directly into the mains pipework. Water fittings regulation compliant. IPX4. Getting efficient mains water flow and pressure into your property? Slow flow through your kitchen or bath tap? As a result, you can enjoy full flowing showers, speed bath fill, and improved effectiveness of your combi boiler. The unit has to be fitted in a vertical position and an electrical supply is required. The cost of installing the booster unit starts at £500.00 inclusive of parts and labour. (providing an electrical source is close by and the unit can be fitted to copper pipe work. The cost will rise if additional work is required to install.